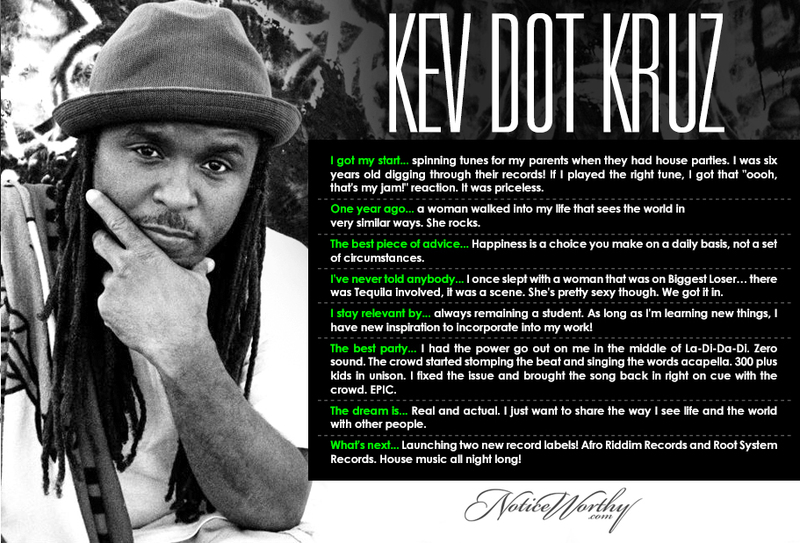 New York City's own Kev Dot Kruz is a producer, lyricist, vocalist and one of NY’s best kept secrets behind the decks. He's the most Afrolistic, tech house mystic, keep ya dance floor lifted, party rocking, crate digging DJ that we know–and we know a few DJs. We hear he throws some banging events too.